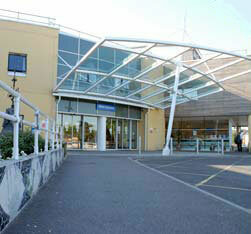 Can West Middlesex Hospital Cope? The impact on West Middlesex hospital A&E because of Ealing Hospital and Central Middlesex A&Es closing could increase the demand on West Middlesex by 78 per cent says new research. A Report by the Greater London Assembly (GLA) Intelligence Unit shows that the closure of up to eight A&E units across London will have a significant effect on the remaining 24 A&Es staying open. This is at a time when the demand for emergency response is increasing and the challenge to reduce A&E waiting times is high. The proposed re-organisation of A&Es comes at a time when Londoners are facing increased demand on other emergency services. Londonwide Assembly Member Murad Qureshi said: "There is growing concern amongst health professionals that they will find it difficult to maintain the quality of care for A&E patients if these A&E closures go through, not just in terms of treatment and care they receive on route to the A&Es but also after they have been admitted. "If Ealing hospital and Central Middlesex A&Es close, residents will need to go further to West Middlesex and the number of residents in that particular hospital's catchment area will increase by 78 per cent. This is extremely worrying and will have an unprecedented impact on the provision of health care in Hounslow. Londoners face being caught in a pincer of far fewer A&Es and a shrunken ambulance service. " A West Middlesex Hospital spokesperson responded, "We are fortunate to have some of the most modern hospital facilities in North West London. We are confident that we have the capacity to expand services in line with predicted demand, and maintain our current high standards of clinical care and performance. We continue to work with healthcare partners to ensure patients are aware of the breadth of local services and choose the appropriate one for their illness or condition. The Urgent Care Centre co-located with our emergency department is helping to ensure that our A&E service is used for emergencies only." The final decision on A&E Department closures is due to be made by the Joint Committee of Primary Care Trusts (JCPCT) in February 2013.